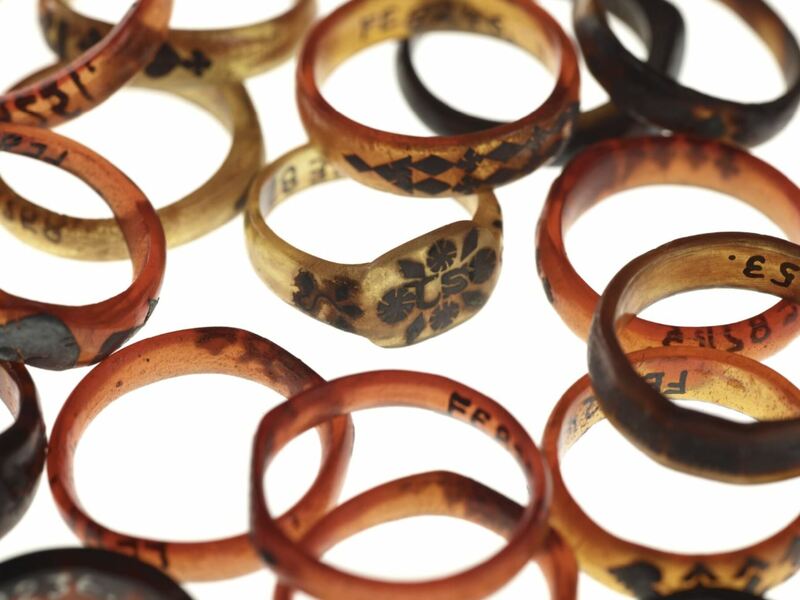 Pacific curator Sean Mallon provides an overview of the origins of mama rings from Sāmoa. 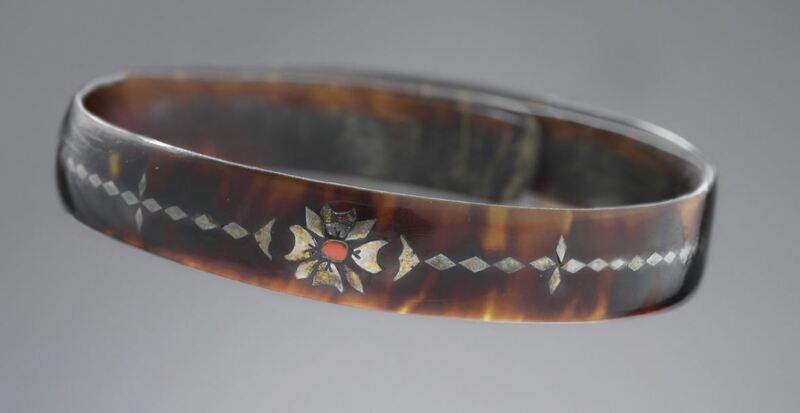 Rings, bracelets, combs, and brooches were popular forms of personal adornment made in Sāmoa from at least the 1920’s to the present day. They were typically made of turtle shell, coconut shell, and coloured glass. Many of them feature a silver inset of words and/or motifs. Examples of bracelets collected in the 1960’s show the Sāmoan appropriation of ideas and motifs from other cultures. Made with the same inset elements they feature motifs such as swordfish, turtles and Fijian bure (houses) alongside the words Apia and Sāmoa. But as well as borrowing other cultural motifs or symbols, new and readily available materials were also used. In 1964, brooches and pins were commonly made from toothbrush handles and the rims of sunglasses. These techniques of manufacture and style of item are still commonly found in contemporary Apia markets. 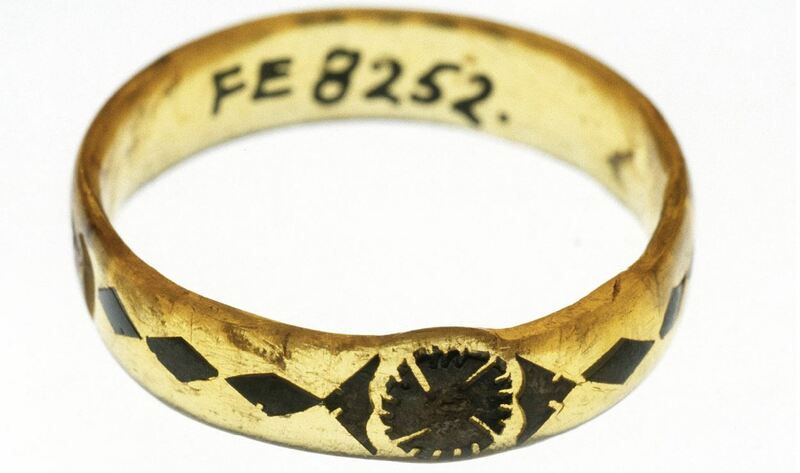 This ring is part of a small collection of jewellery, ornaments and textiles that belonged to Percy Williams, founding headmaster (1924–27) of Avele Agricultural School and teacher (1928–31) at Malifa School, Sāmoa. Many of Sāmoa’s future leaders attended these schools, benefiting from the foundations that Williams helped to establish. These items were donated to Te Papa by Barbara Williams in 1986.